Bubba has finally mastered the art of jumping on the keyboard to the point where he feels he can take a turn at writing his own blog. Heading out on the TGV from Paris to Avignon in the morning put me on the train before I had a chance to eat. I felt like I had an empty space in my body. My epic battle with the multi- legged prawn the night before where I slew the beast and devoured his tail left me craving something a little less animated. 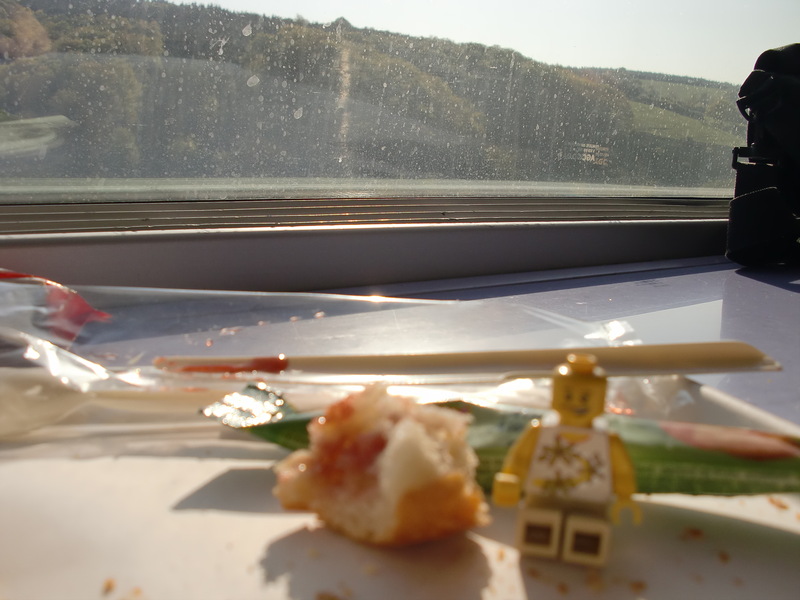 The standard “petit dejeuner” provided by the train complemented the scenery whizzing by at breakneck speed nicely. To squeeze the jelly from the packet onto the bread involved proper positioning of the bread and packet and a high flip off the plastic knife in the background. My finely honed gymnastic skills, coupled with rock hard muscles, made this a simple trick and a warm up for the day ahead. 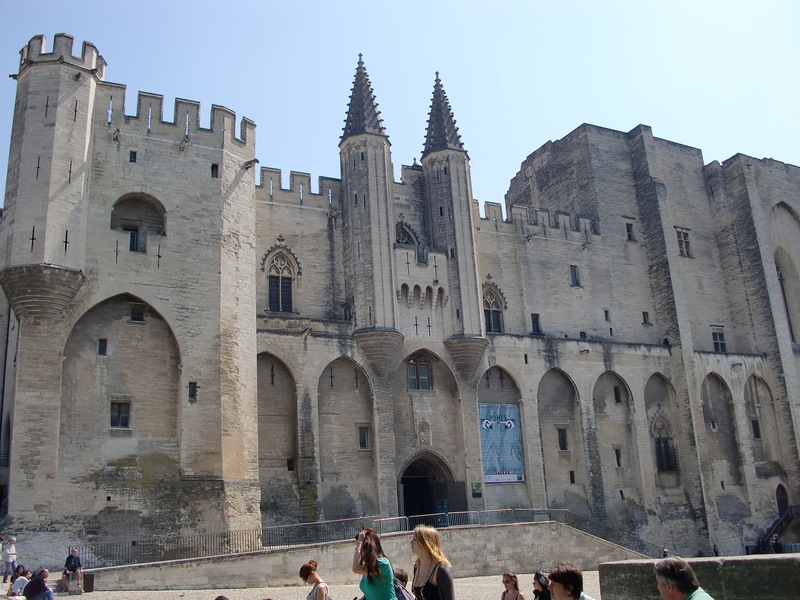 In about two and a half hours we reached Avignon, the home of the Popes and the Catholic Church between 1309 and 1378. In the walled city is the old palace which is described as the biggest gothic palace in all Europe. It is built from real stone and not the plastic bricks I am used to. Waaaay up at the top there are some hideous carved gargoyles. These are frightening beasts, sometimes used as drains and sometimes used just to frighten off small beings like me. You can see two of the beasts in this picture. I was inspired to climb the wall to confront one of these evil demons. I would show them who the more powerful inanimate being was. With a little help from my traveling companions, I threw my grappling hook and rope (a bent pin and string) up the wall and began my ascent. 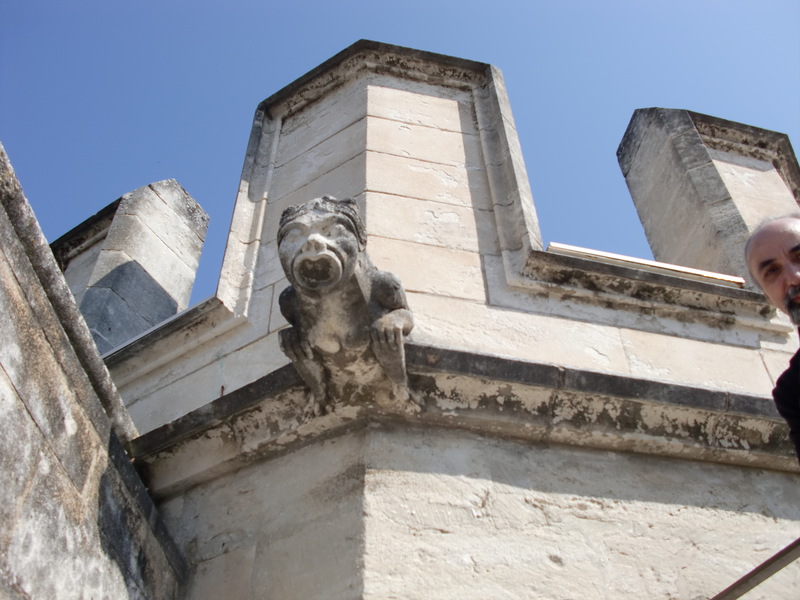 When I reached the beast I put on my fiercest face but he was just a little too big, too old, and too hungry looking for me so I rappelled my way back down the wall. 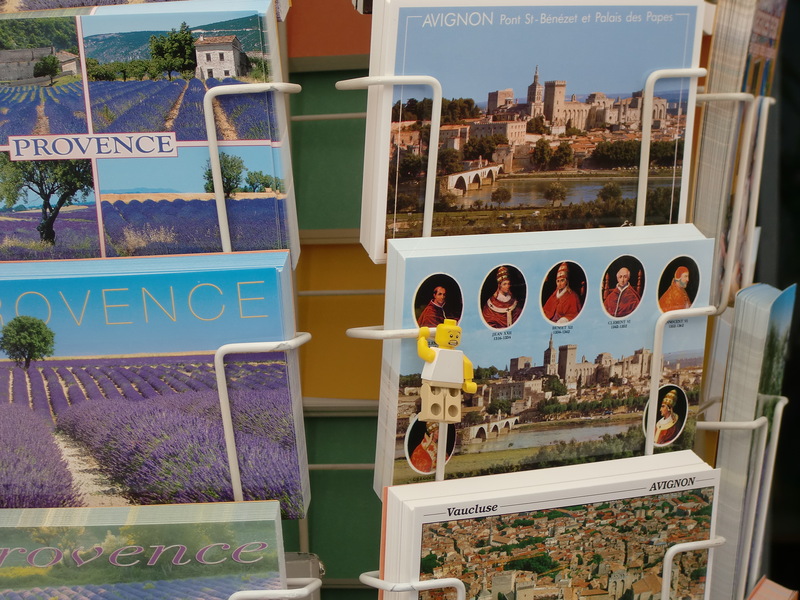 After that adventure, I took a break and confined my climbing to the post card rack so I could drop a line to the folks at home. I bought a few cards but after gluing myself to the first card with the stamp, I decided not to send the rest. The postal authorities here have stickier stamps, I guess. 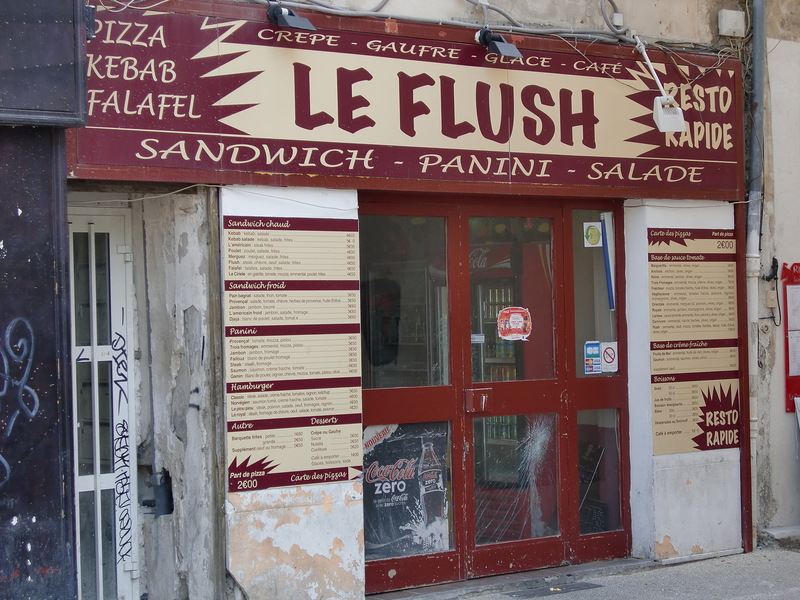 All that exercise whetted my appetite so I chose to stop in at a quaint French café just off the main square. The name seemed to mean that they would get you in and out quickly. For some reason, those with me thought otherwise and ate elsewhere. 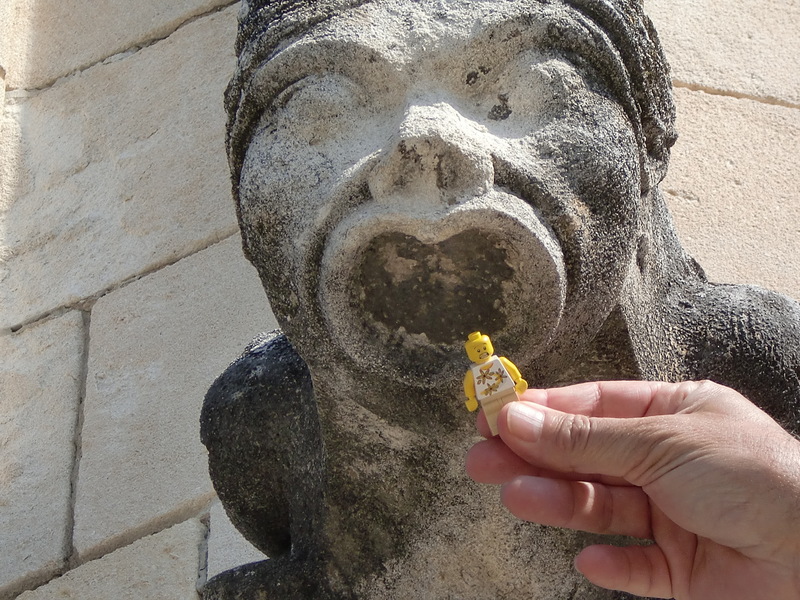 This entry was posted in France, Humor, Leggos, Travel. Bookmark the permalink.